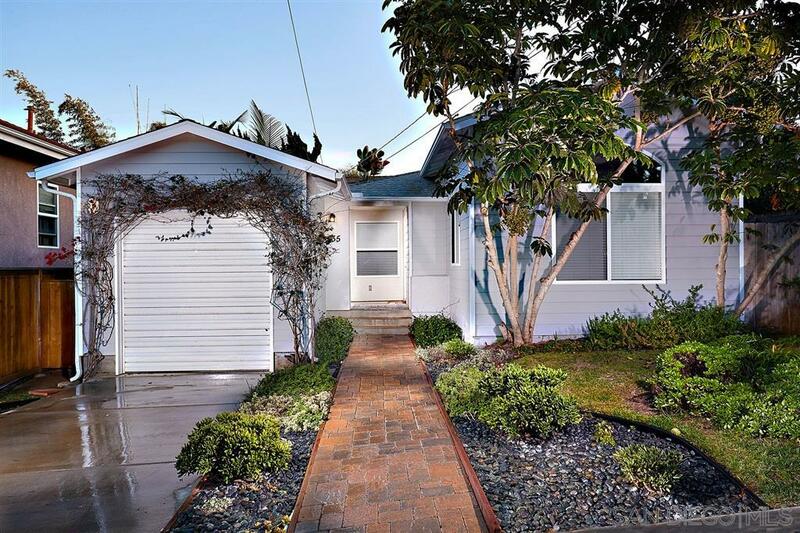 This quintessential Leucadia beach cottage! Lovingly remodeled throughout with hand selected Brazilian red oak floors throughout great room, kitchen & den/office. Gourmet island kitchen w/ verde fire granite + stunning red maple cabinetry! Private, tropical rear yard with redwd decking, Dimension-1 spa & BBQ/patio area. Prime walking location allows for easy strolling & biking to 4 world class beaches, excellent restaurants, cafes +entertainment! Prime Location+excellent condition=excellent value!, Spacious cottage has large master suite added in 1999. Former 3rd bedroom is presently being used as an office and is now opened to the great room (wall removed by present owner~& can be converted back if desired). Remodeled to perfection with all primary systems replaced, this darling beach home is in excellent condition and ready for move in! AC, Tankless hot water heater, Brazilian cherry hardwood floors, top of the line stainless appliances and washer & dryer are included! Wiring, plumbing, windows and doors replaced by the present owner. Large deck & spa in private rear yard with ature palms and birds of paradise have sunny southern exposure all day long~ the perfect beach house! Seller says All-useable 4000 sq ft lot in this location is R-11 zone & allows for 40% lot coverage, so additional sq footage can be added! City says setbacks allow first floor expansion to the east side of property, and zoning height would allow for second story, + auxiliary unit is allowed in this zone Lots of possibilities for the future, but perfect the way it is today! Charming and a good solid single family home with private yard and over-sized one car garage that was built in 2000. Buyer to confirm setbacks, lot coverage & all building information with city of Encinitas building dept. prior to COE. Walk to Beacon's & Grandview beaches, first class restaurants with excellent entertainment, cozy coffee houses, surf shops, art stores & french bakeries! All of this convenience in Leucadia's most sought after west of 101 walking district residential neighborhood! Must see the excellent condition this lovely home is in with quality hardwood floors, & quality cabinetry throughout! Lovely kitchen and over-sized travertine bath remodeled in 2009, spacious master bedroom suite has vaulted ceilings, and fully fenced rear yard with mature trees, decking, spa and room for a party~even in a walk to beach and town location:)! AC, tackles hot water heater, updated furnace and more! Move right in! This property will not last at this price! Ask for comparable sales!